As the weather is slowly taking a turn for the worse and winter is well and truly on its way I thought I'd share with you some sunny inspo to get you through this cold weather! In September I visited the beautiful village of Frigiliana located up in the mountains on the south coast of Spain (around an hour from Malaga airport). We stayed in a villa down a very isolated windy road with beautiful views of the surrounding area and a little glimpse of the sea! The view from our terrace area looking over the villa. 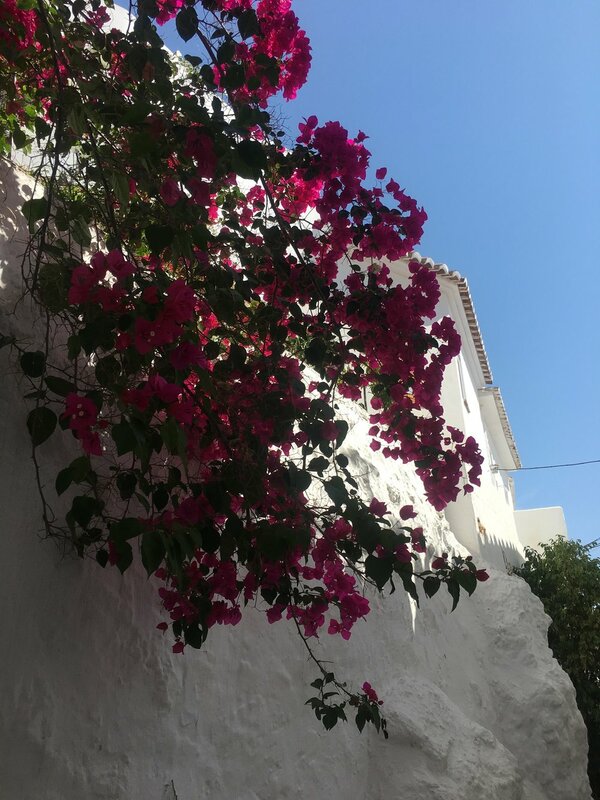 Around 10 minutes drive from our Villa was the village of Frigiliana, made up of small winding streets and beautiful white washed buildings - it really gave you a taste of Spanish culture. The streets were lined with small shops and restaurants and once a week there is a market selling everything from leather bags to ceramic home ware and clothing located in the village square. Everything here felt so authentic and there was a distinct lack of souvenir shops and coaches full of tourists! There were so many amazing restaurants - even though it was quite a climb to get there sometimes! Whilst in Spain we also visited the town on Nerja which is a little more lively and home to some beautiful beaches and lots of shops and restaurants! If you're looking for somewhere a little more tourist friendly but still very beautiful Nerja is just right for you! 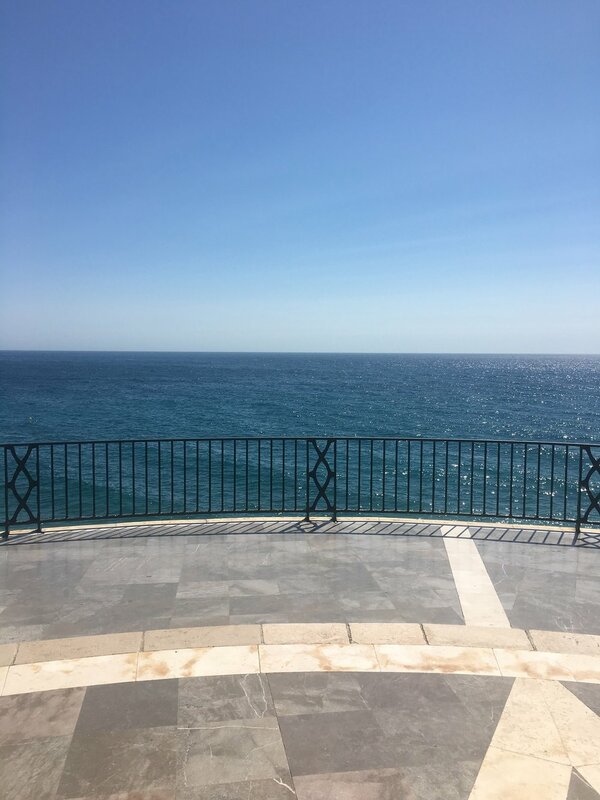 The Balcón de Europa offers beautiful views of the Mediterranean sea and you can see for miles! Southern Spain definitely won my heart and I'll definitely be back!